Luxurious Lodging Meets Tranquility In The Wilderness At Tilney Manor. A sanctuary in the heart of Sanbona Wildlife Reserve, Tilney Manor offers holidaymakers a quiet getaway in a lodge surrounded by nothing but the stillness of the bush. 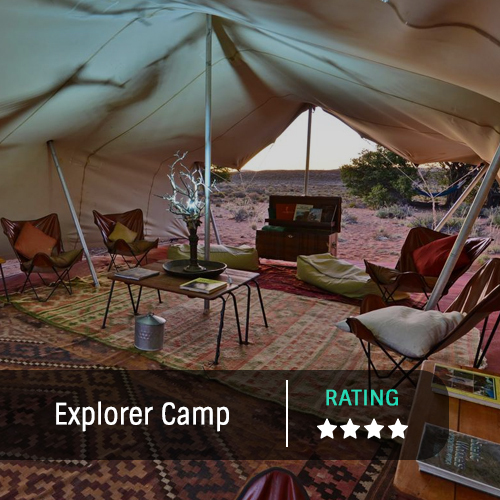 The lodge offers a luxury safari experience, with a kitchen that serves Karoo cuisine, a sparkling rim flow pool, and a Relaxation Retreat with a sauna and steam room. You’ll enjoy a peaceful, undisturbed holiday, as the lodge is intimate, with accommodation available in six suites. Tilney Manor boasts six spacious suites with private verandas and sweeping views of Sanbona’s pristine wilderness. Each suite comes with an en-suite bathroom, his and her outdoor showers, air-conditioning and a fireplace. During your stay, you’ll have access to WiFi, and a lounge with a fireplace and a TV.